São Paulo’s new master plan focuses on people, not cars. Photo by mlsirac/Flickr. The largest city in Latin America has prioritized curbing car culture and making streets more pedestrian friendly. São Paulo’s new strategic master plan, unveiled on July 31, 2014, focuses on people-oriented development and improved public and non-motorized transport. The new master plan will guide the city’s urban development for the next 20 years, and is the result of discussions over the past year between government actors, public participants, and private organizations. 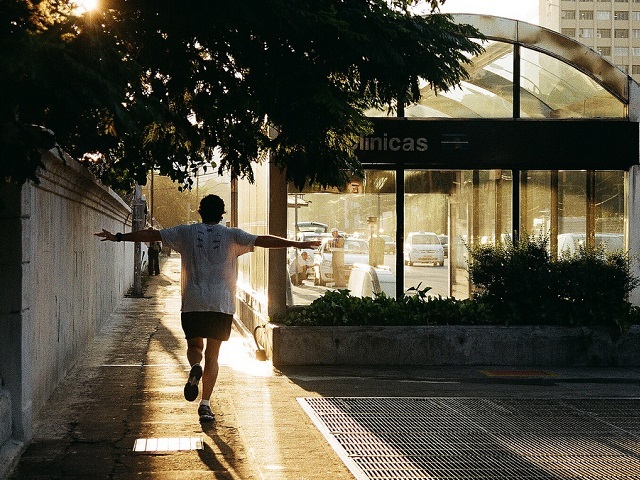 According to city leaders, the plan was created through the largest participatory planning process in the history of São Paulo, involving 114 public hearings, 25,692 participants, and a total of 10,147 contributions. The areas surrounding transport routes and corridors are significant opportunities for urban transformation and the optimization of urban land use. These areas can be shaped as tranquil, livable communities located with access to transport hubs. New zoning rules will allow up to four times more development along transport corridors. This will encourage new urban amenities and services – with mixed-use development and active ground floors – and wide sidewalks, all of which will transform the interface between street space and buildings. Eliminating the requirement for a minimum number of parking spaces, coupled with tax benefits to encourage the donation of land for transport corridor construction, will discourage the extensive use of cars. The plan will also require the Fundo de Desenvolvimento Urbano [Urban Development Fund of São Paulo] to allocate a minimum of 30% of its resources for public transportation, the city’s bike lane network, and pedestrian infrastructure. To control development in core neighborhoods and drive growth in other areas, it is imperative to promote development near major mobility hubs. We must couple the development of the city overall with the development of transport networks.” – Fernando de Mello Franco, Municipal Secretary of Urban Development, City of São Paulo. The full text (Portuguese) of the new master plan is available from the City of São Paulo.